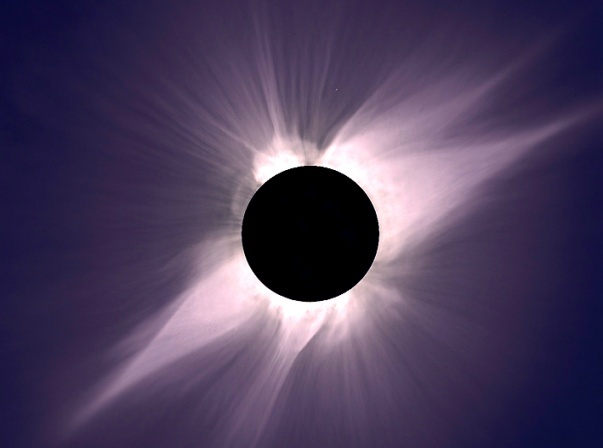 Explanation: The sun's corona is a tenuous outer atmosphere composed of streams of energetic charged particles, but it is only easily seen from Earth during a total solar eclipse. For example, this 1991 image of totality from atop Mauna Kea, Hawaii forms a fleeting snapshot of the mysterious corona's beautiful, intricate structures and streams. 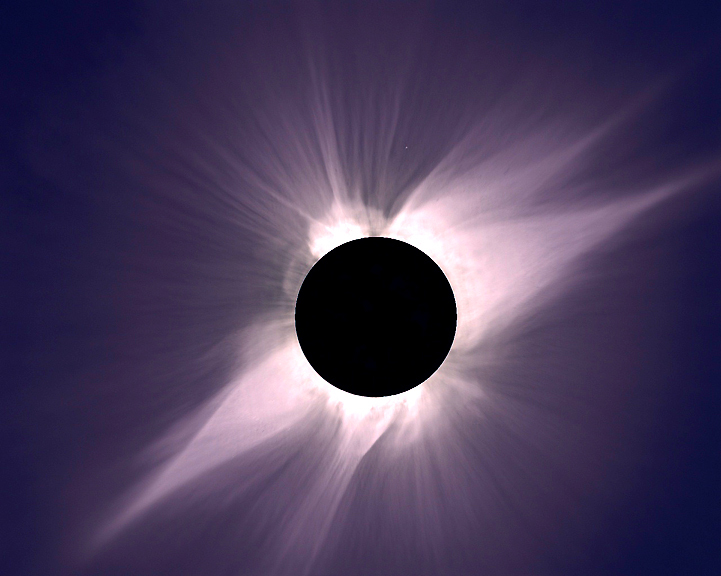 However in space, instruments can use occulting disks to simulate eclipses and more readily monitor the corona beyond the sun's edge. Combined observations from the space-based SOHO UCVS and shuttle-borne Spartan 201 experiments have recently contributed to a major advance in understanding the high-speed component of the wind of particles in the corona. They reveal evidence for magnetic waves within the corona itself that push solar wind particles along, like an ocean wave gives a surfer a ride. Surprisingly, heavier charged particles can surf the magnetic waves faster - oxygen ions were found to achieve speeds of up to 500 miles per second, faster than the lighter hydrogen ions which make up most of the solar wind.